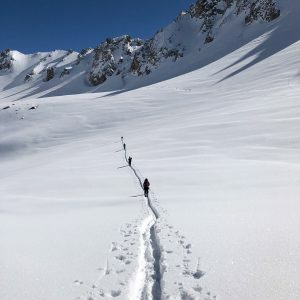 This winter the snowfall across the French Alps has been phenomenal. 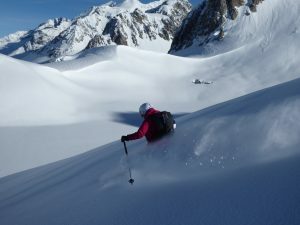 Locals of Tignes have said that it has been the best winter for snowfall in twenty years. 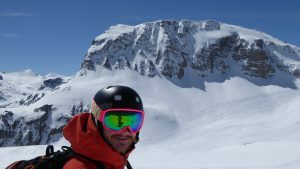 Out of the my twenty winter seasons it has been one of my biggest snowfall seasons by far. 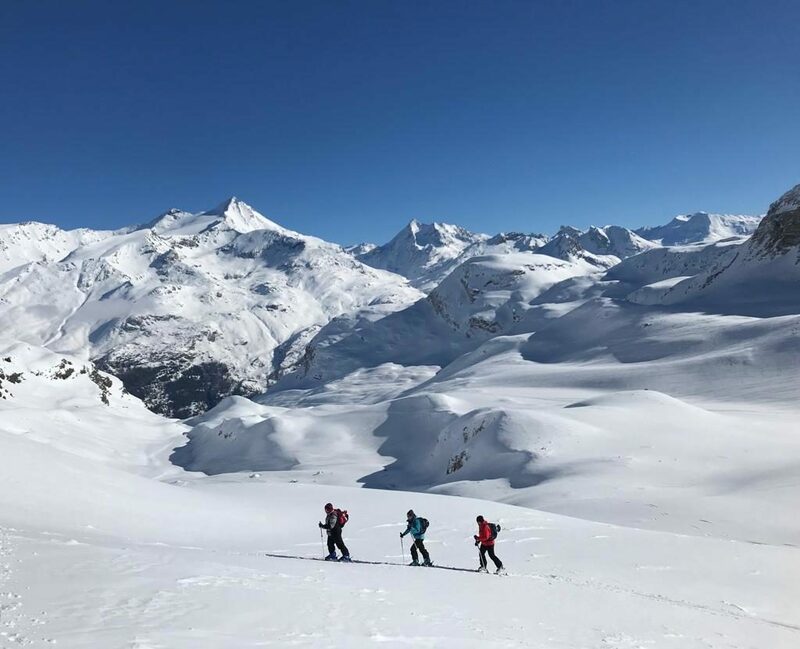 With all the snow Val D’Isère has announced that it will re-open some winter lifts for spring skiing on 3rd June 2018. 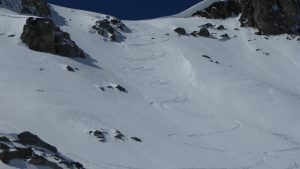 This will be the first time in 82 years that some of the winter pistes above the resort will re-open in summer. The pistes are planning to re open for summer skiing between 7am-12pm. 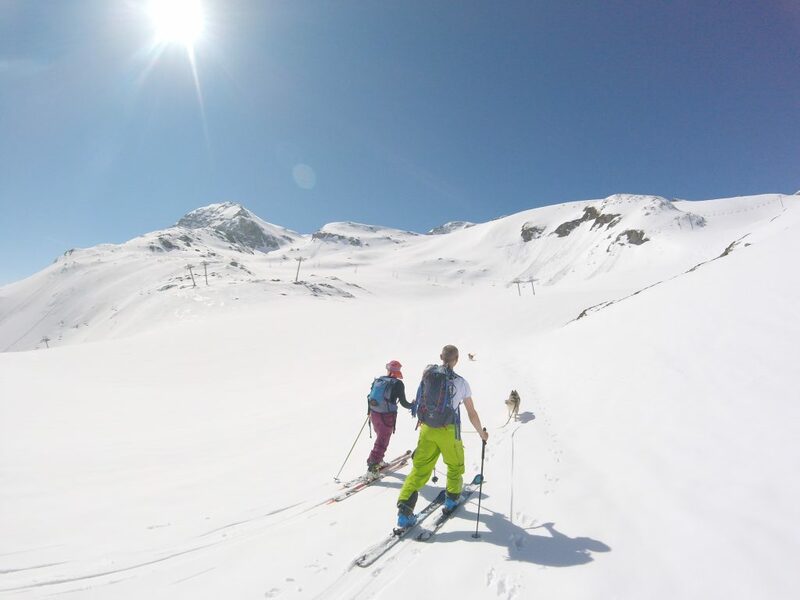 The lifts that plan to be open is the Furnival and the Marmottes chairlift in Val D’Isere. 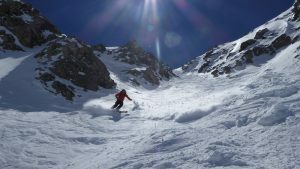 The lifts have now closed in Tignes and there still is enough snow to ski tour up to the glacier from Val Claret. 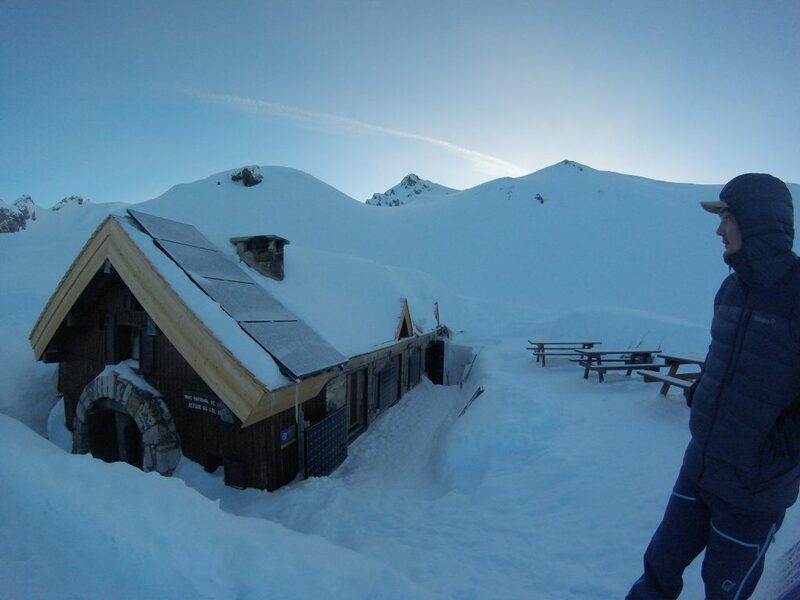 All refuge huts are open till the middle to end of May. 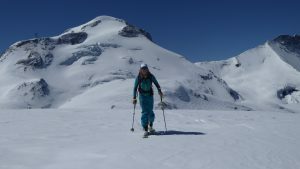 The guardian of the refuge du Palet believes that there will still be enough snow on the ground till June. 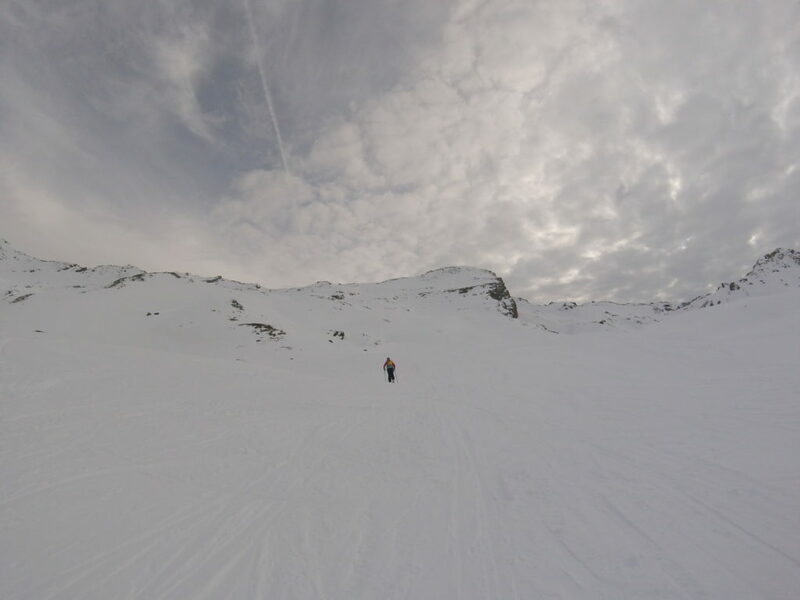 Last Thursday 17th I ski toured 5.5km up and around the Col Des Ves in Tignes with Clare and Dave and skied off piste back into Val Claret in Tignes. I was still amazed at how deep the snowpack was and the snow was still in great condition for May. 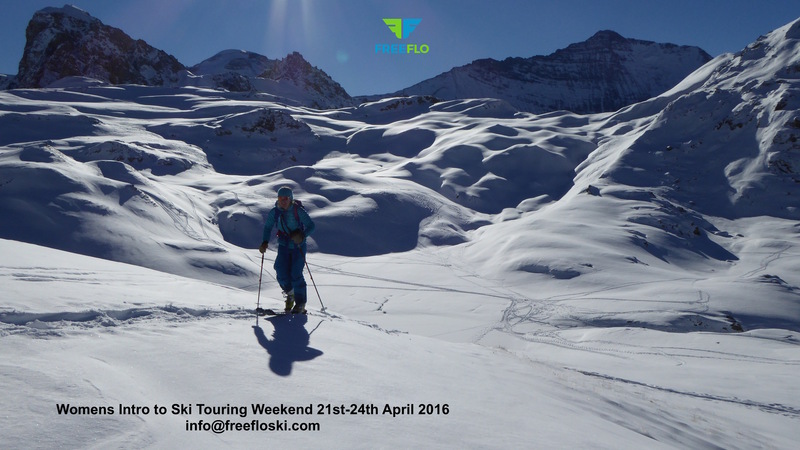 FREEFLO SKI specialises in on and off piste ski instruction, ski touring and ski courses in the Tarentaise Valley. See more at www.freefloski.com. Keep up to date with all year around adventure and follow us on Instagram. 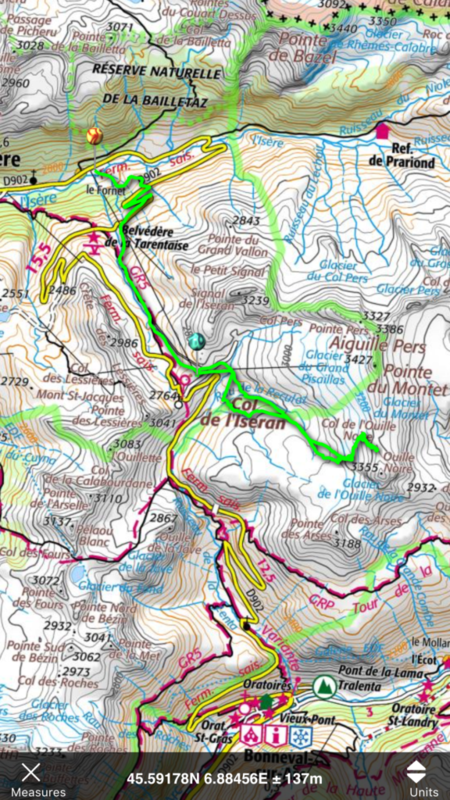 The Rocher de Bellevarde rises to 2817m and the summit of its 1000m high face overlooks Val D’Isere. 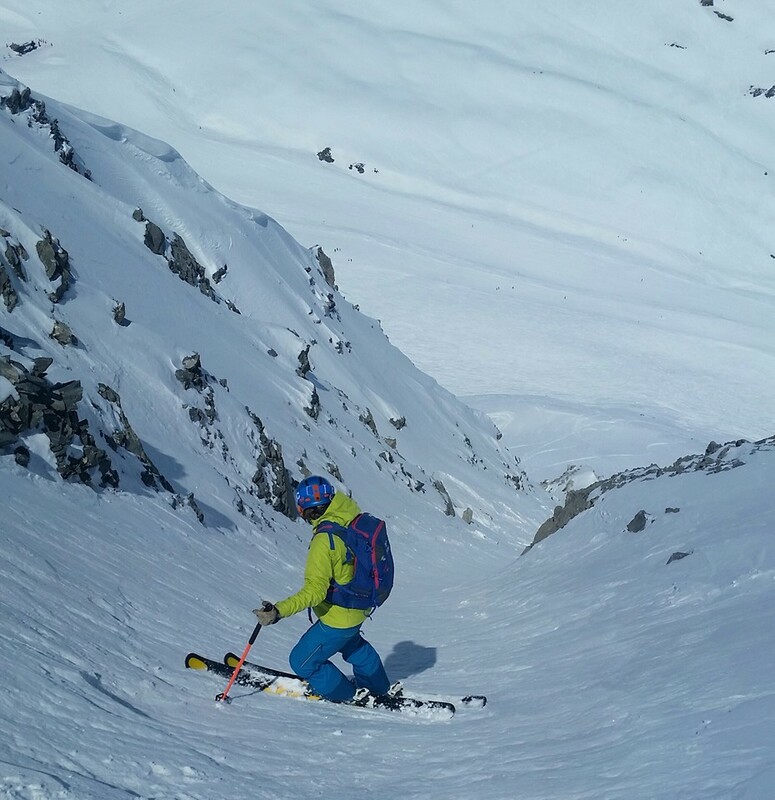 Through the breathtaking off piste skiing lines between the rocky spurs of the summit lies the couloir Table D’Oreintation and l’Antenna. 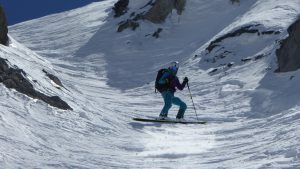 The Table D’Oreintation is commonly known as the Table and it is a classic off piste route in Val D’Isere that should not be missed. The Table is one of my favourite routes to guide and to coach in because of its variation and also for its accessibility. 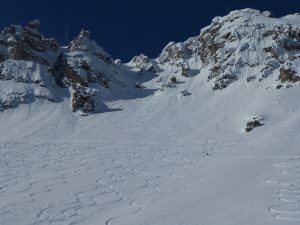 If you get the snow conditions right you can start the decent in a wide couloir which opens into a bowl of untracked powder. After the bowl you can then decided to continue left into the trees and end up at the bottom of the cable car lift. The second exit option is handrail to the right and work your way back onto the piste of the famous World Cup downhill run Le Face. I just love Spring time. Its warmer, the snow pack is more stable and I have more time to go on adventures. 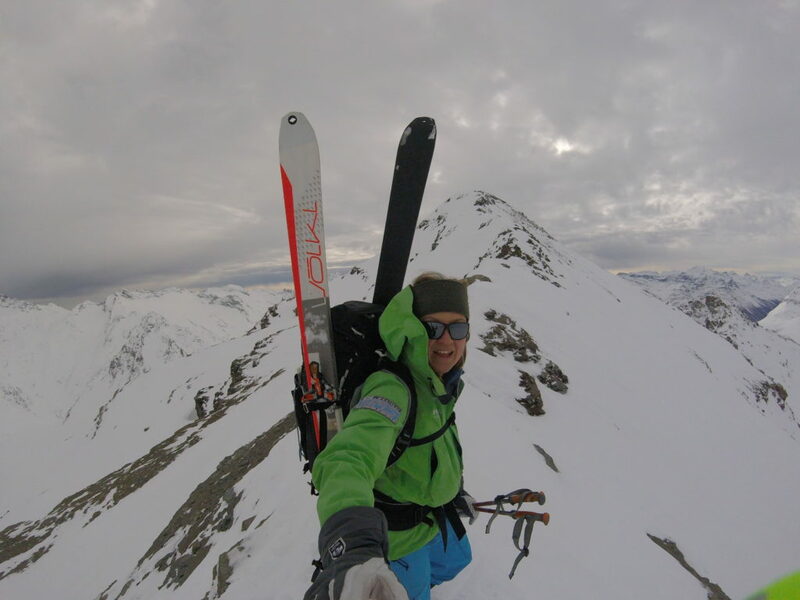 Last year touring up and skiing down the 48 degree North Face of the Pramecou on the 9th May 2016 with adventurer and good friend Squash Falconer was one of my vivd memories of 2015/16. 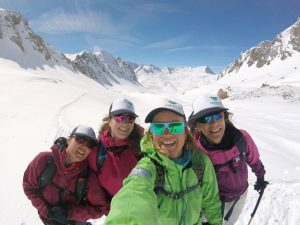 From that day onwards we came up with the idea of running backcountry adventures together to inspire, to teach and to motivate people to adventure into the back country. With one of the largest winter store retailers Snow & Rock behind us, in a few days time I am looking forward joining up with Squash and to leading the Snow and Rock Back Country 5 day Backcountry Adventure in Tignes and Val D’Isere. 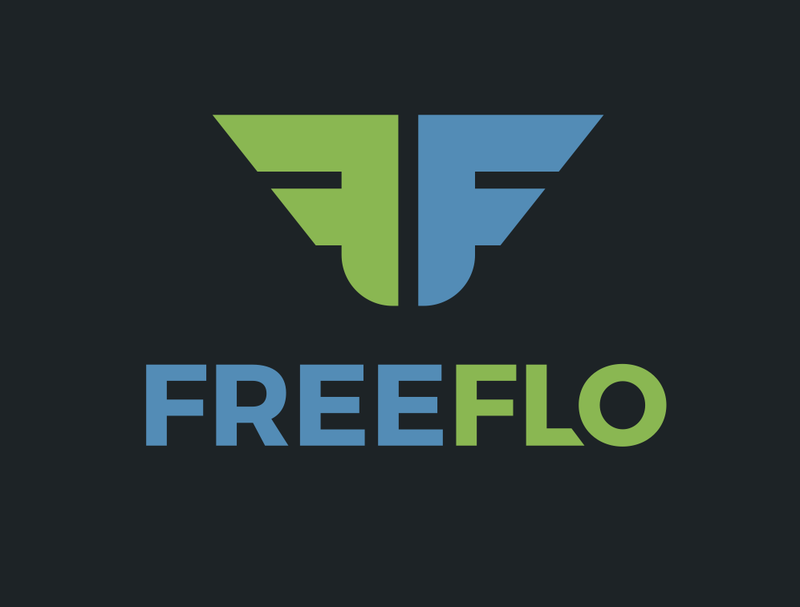 Winter 2015/16 has definitely arrived and its exciting times for FREEFLO. 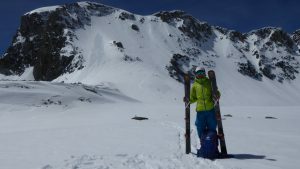 I have rebranded from JCSkiing to FREEFLO with a focused offer of progressive on and off piste skiing, backcountry ski touring and women specific ski courses. Our brand new website has had a facelift and we’d love you to follow us on social media for updates and news. For full effect, check out the new Instagram account which allows you to share the passion without even being here! As I start my 16th season of teaching, and my third season in the Espace Killy, my passion and skiing and coaching has never been stronger. There are always more mountains to explore and new routes to find. 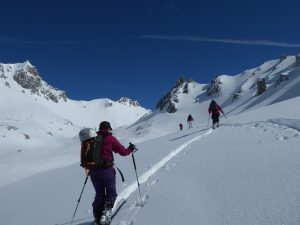 This season I’m returning to the off piste mecca of La Grave in the Southern French Alps to deliver my Off-Piste Experience course. 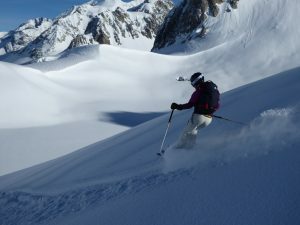 Unfortunately both courses are fully booked, however, I’m sure I’ll be heading back there in the future, I love La Grave! 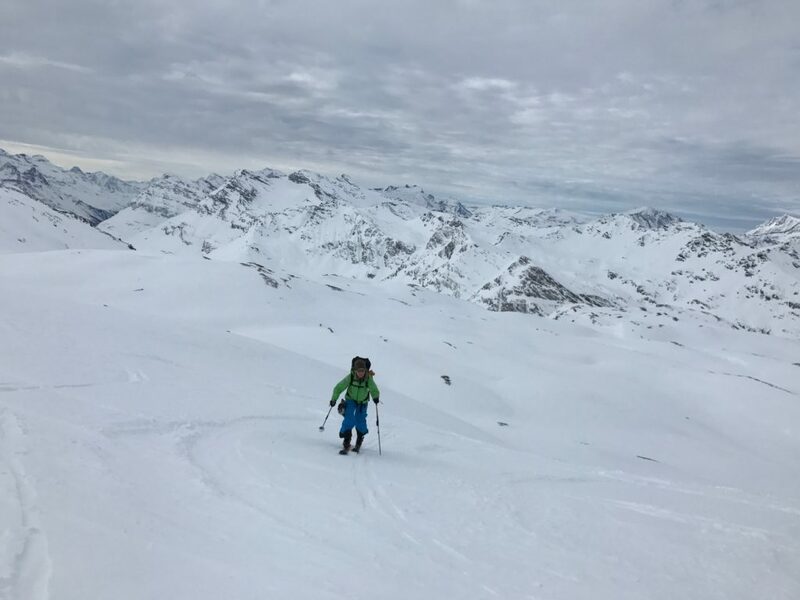 To finish our season with a bang we are offering an Off piste and Ski touring course for the intermediate skier who has had experience skiing off piste and a small amount of ski touring. 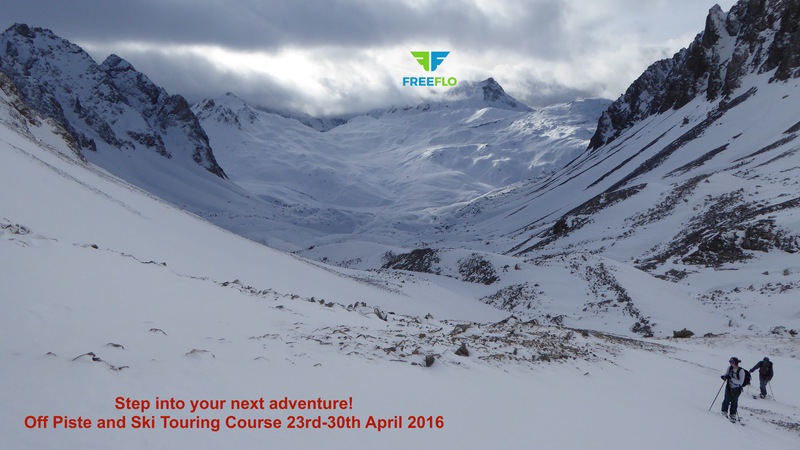 This course is all about the search of good snow and stepping a bit further away from the pistes. 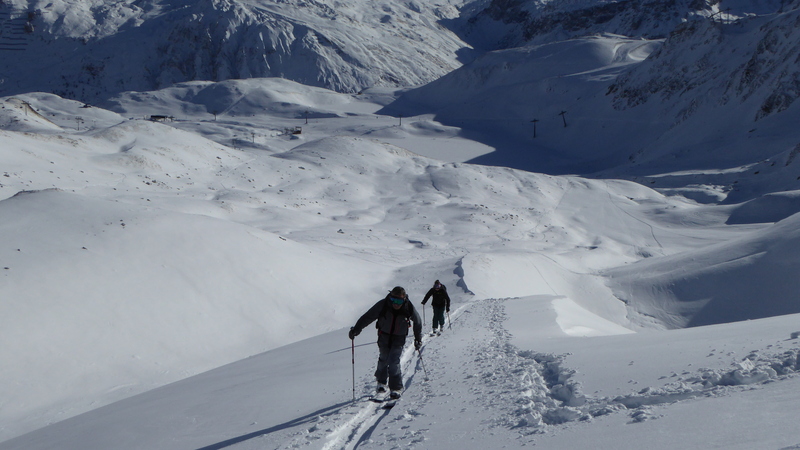 You will stay in a comfortable 4* chalet where you will be fed and look after a great day on the hill. What could be more appealing? With a focus on holistic performance, for all our courses we have a new partnership with Etixx UK, to offer complimentary elite nutrition to fuel your days on the hill and offers against future purchases. 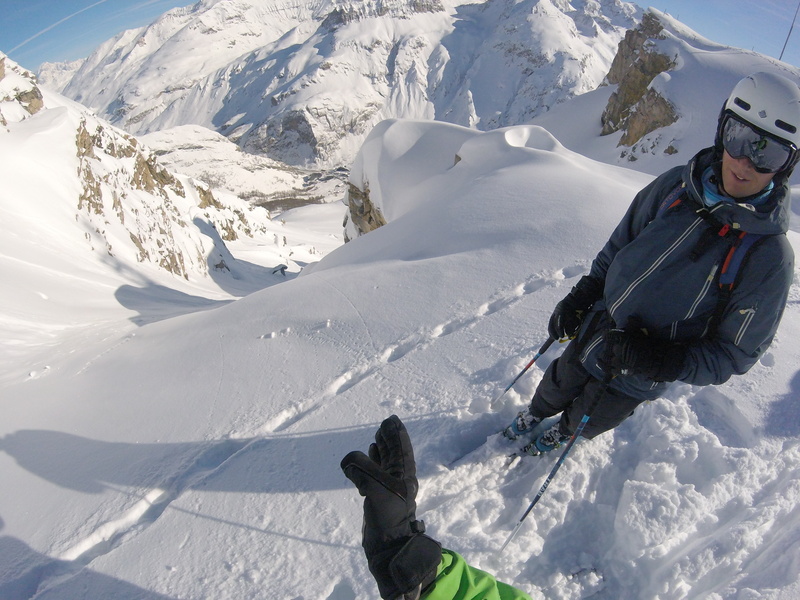 We are also kindly supported by Fatmap, Ember Gloves, Snow-Forecast and Tignes Spirit. Great memories and adventures are up for grabs. 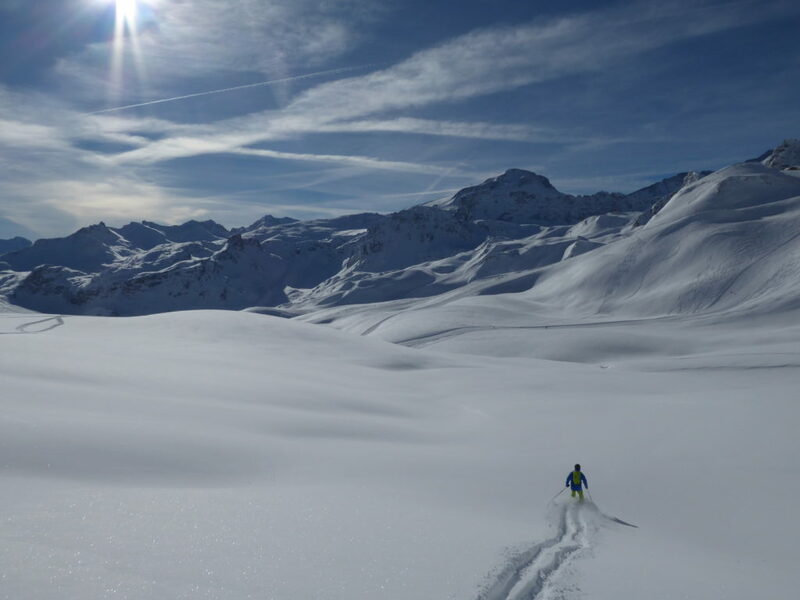 Start your 2016 on a high and we will look forward to skiing with you.